The sun is shining and flowers are blooming in Paris. This month's newsletter has a storage area clean up checklist, tips for head-turning curb appeal, and a quick list of inexpensive changes that you can make around your house for a great return in the long run. Putting your best foot forward when it comes to your home's presentation is one of the ways you can increase your bottom line. A well-kept house makes buyers want to get a closer look. Buyers see your home as a better buy when it looks like it's been properly maintained. The yard is the most important part of curb appeal. It should be clutter free and green. If not, clear your property of trash, building materials or other household items left outside. Store garbage cans in the garage. For regular maintenance in preparation for, and during, the time when your house is on the market, you want to make sure your lawn is clear of weeds, leaves and grass clippings. For added detail, neatly edge your lawn. Check out your flower beds to see how they look from across the street. You want your plants neatly pruned without weeds. If your flowers aren’t in bloom yet, use colorful potted plants around the porch to attract buyers’ eyes. One of the cheapest but most impactful refreshers you can make to the front of your home is repainting your front door. Also, power wash the siding and check for imperfections, touching up paint, chips, and dents where needed. Take a good look at your roof, making sure it's in good condition. Gutters should be clear and neatly secured. Overgrown brushes and trees should be trimmed to open up space around your house. Now that you’ve completed a walk-around of the outside of your home, you’re ready to move forward with putting your home on the market. You can use these tips even if you aren't selling. 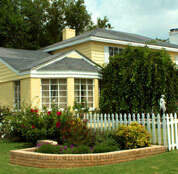 But, if you or someone you know needs help with curb appeal or with staging, give me a call at (903) 361-2733. I'm happy to help. Make sure to check out my upcoming open houses. Click here to see all of my listings. I hope to see you there! Update light fixtures and ceiling fans. Small changes can bring older décor into present day design. Replacing out of date fixtures with more modern designs brings your house into the current style that appeals to more buyers. Make those tiles sparkle. 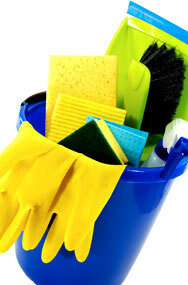 Clean out grout and any rust stains on all of your bathroom and kitchen tile and fixtures. This is an easy fix that makes a big difference in how old your home looks. Reface your cabinets. You can refinish the cabinets with a fresh coat of paint or by sanding and re-staining them. And, replace the knobs and handles too. Just make sure they fit with the architecture and style of your house. The areas you'll tackle for spring cleaning are your havens: your bedrooms, as well as the places you’ve been avoiding for a while: your storage areas. Storage areas are last because as you’ve been cleaning and rearranging things in other rooms, you’ve probably moved things to closets, moving things to the garage, up to the attic or down to the basement. Don’t feel overwhelmed, though. You’ve probably got a group of things that can get donated to your local thrift store, charity group or shelter. Put items in piles: Throw away, donate and keep. Clean oil stains from the garage floor with coke, baking soda, or commercial cleaners. If you store items in the basement, use crates or cement blocks to keep boxes dry. Check to make sure washer and dryer pipes and cords are secure. Give us a call at (903) 361-2733 or send us an email at sherrydicksonteam@gmail.com. We're glad to answer questions — no obligation, of course.